Olivia has one toy that she loves more than anything. She feeds him, dresses him and takes him everywhere. 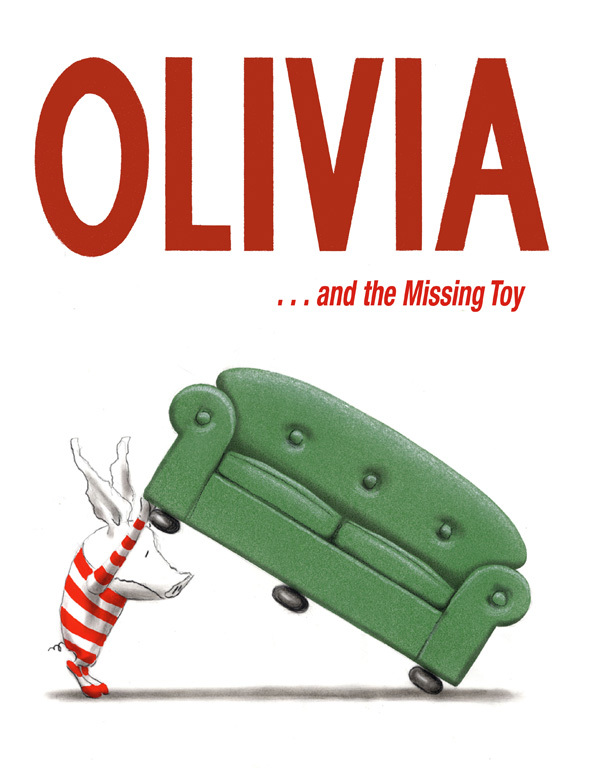 So when he disappears, Olivia is FURIOUS! She looks under the rug, under the sofa, under the cat. She shouts at Ian and baby William, she cries, she stomps... all to no avail. Then, one dark and stormy night, Olivia hears a noise... Clutching a candelabra, she creeps bravely into her bedroom, and sees a huge menacing shadow on the wall. Who is this monster, and what's that hanging from his jaws? All is resolved peacefully in this entertaining story starring our favourite pig and her favourite toy.